It's game day with Dora and Boots in these three super sporting adventures! 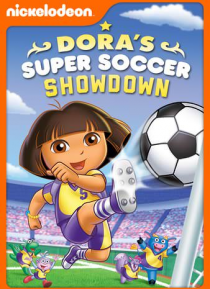 Get ready for the big soccer game with Dora and Boots ... plus, take a ride with Dora and her horse, Sparky, and then join Benny for the Rainforest Talent Show. ¡Vamonos!